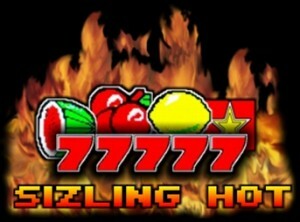 Impera refers to Sizzling Hot Pro 5 "More game fun with new sound concept and design! This 5-line (fixed), 5-reel video game is the latest version of the famous gaming classic." What we are talking about is a complete rework and platform migration to make Sizzling Hot Pro 5 available on local slot machine games. No mechanic changes were made, we are still talking about the good old 5 reels 5 pay lines slot game. The interface of the game was completely changed along with the betting levels. The minimum bet is 5 and the maximum bet is 10 000. Real money is transformed into credits. For example 100 Euros equal to 100 000 in-game credits.